It is difficult to imagine what it would be like to live in a home with no windows. Imagine the darkness, bleakness, and gloominess you would feel in your home if you did not have windows letting in the light and allowing you to see beautiful scenery and what was going on in the world around you. Old, broken, or worn-out windows are certainly better than not having windows at all, but if your windows fall into these categories, you are missing out. Window replacement is one of the most important and satisfying home repair projects you can do. If you are thinking about new windows install in Raleigh, here are a few reasons why you are on the right track. If you have older windows, you can probably feel a draft coming in through cracks and seams. When these conditions exist, you are also losing money. This is because your HVAC units need to work harder to keep your home warm or cool to make up for the air being lost. New windows would not have this problem. You can be sure new windows will keep air from escaping or coming in. Deteriorating windows can really bring down the entire look of a home. A window install in Raleigh will keep this from happening. Imagine having brand-new windows dotting your home to brighten it and add a welcoming invitation to visitors. 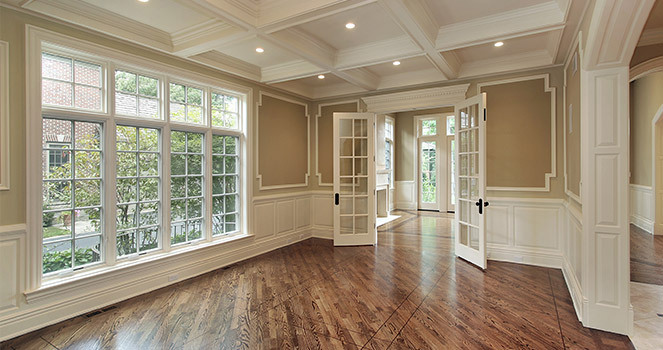 Beautiful new windows are also an appealing feature if you are trying to sell your home. Anyone with older or worn-out windows knows that simply getting them open or closed can be a pain. This should not be the case. New windows (whether they side up and down or back and forth) are a breeze for anyone to open and close. Plus, they come equipped with handy locking mechanisms to ensure your safety. By getting a window install in Raleigh, you give yourself a brighter home and a much more pleasant feeling all around.